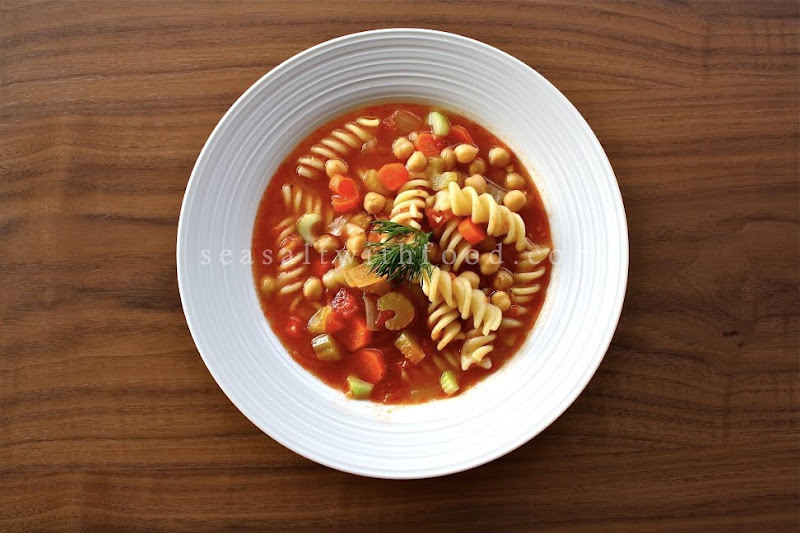 I like the combination of this Pasta E Ceci or Pasta And Chickpea soup. 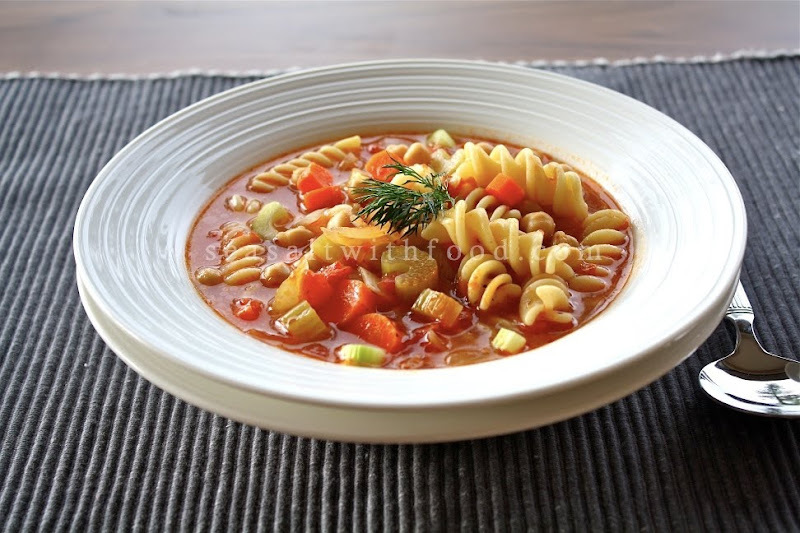 A bowl of this soup serves as a complete meal for me. Here, I served it for lunch with some crusty bread. Heat the oil in a large saucepan or soup pot over medium-high heat and sauté the onion, celery, and carrot, stirring occasionally, for 3 minutes, or until onions are just translucent. Add the garlic and sauté 1 minute, or until lightly golden. Coarsely chopped the tomatoes and add with their juice to the saucepan. Add the broth or water and bring it to a boil. Cover, reduce the heat to low, and simmer for 20 minutes. 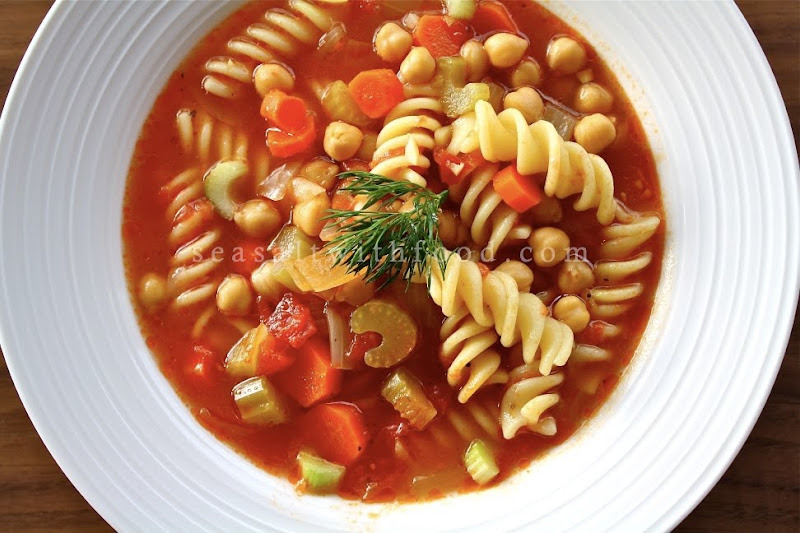 Add the chickpeas and cooked pasta, stir to combine, and simmer for an additional 3 to 5 minutes, or until all ingredients are heated through. Season the soup with sea salt and pepper. Stir in the parsley and serve hot with thick slices of dense bread. Wow, that soup looks sooo good!